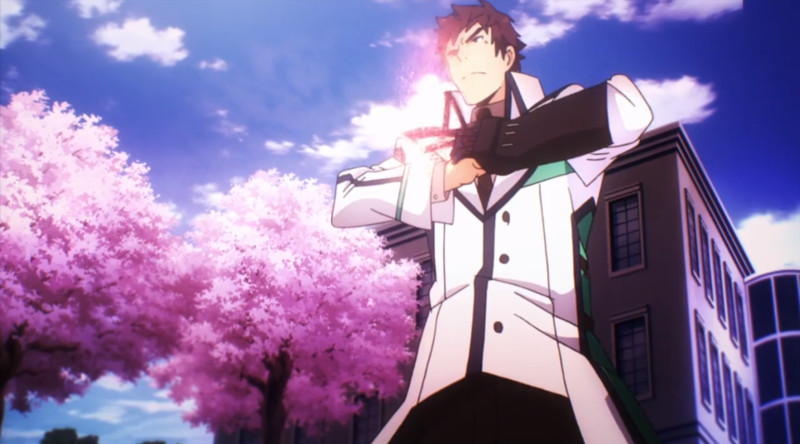 The opening to the anime starts out with a monologue from Tatsuya explaining that magic, once a product of fantasy and the imagination, has actually been synthesised into a modern technology during the 21st century. However, during the show's entirety, there is no concise explanation of magic, or any of its core concepts. Certain spells have a rough description before they're activated, but the fundamentals are never covered, or not at a depth where a desirable understanding of the phenomenon of magic is attainable. 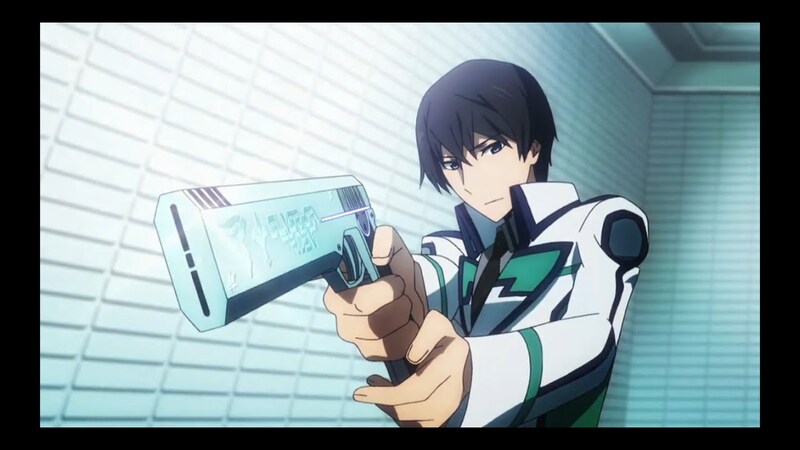 Additionally, the spin off series Mahouka Koukou no Rettousei – Yoku Wakaru Mahouka! only has one episode that covers how magic works, and the information there is pretty sparse. So how does modern magic work? What does a CAD really do? What are Psions, CADs and an Eidos, and how do they influence each other to give the result we see in the series? A magician (or magic technician, or magic practitioner) is someone with a ‘magic calculation area’ in their brain. This is a subconscious region of the mind that allows the manipulation of Psions and subsequent construction of magic sequences to alter a target's corresponding Eidos in a certain way. All this will now be explained in more detail. The physical plane. This is the world as you can perceive it, reality. This is technically no different to the real-life world you and me are both in right now. The information dimension. This is a representation of the aforementioned reality, but not as we know it. Each entity in the physical plane (brick, desk, chair, person) is an information body (or Eidos) that is represented in the information dimension as, funnily enough, information. The two, while different, are inherently linked. Anything that occurs in the physical plane will affect the corresponding Eidos in the information dimension, and vice-versa. This is, at the most basic level, how magic works. By overwriting the information of an Eidos in the information dimension, those changes are passed through to the physical plane, and affect the target in reality. Stack Exchange itself does a good job of representing this. When you begin typing a question or answer, you see two boxes - the markdown box, which is where you edit the text, and a post box which shows what everyone else sees. If you imagine the markdown box as the information dimension, and the post as reality, it’s fairly straightforward to see how magic works - if you edit the text in the markdown box (the target’s Eidos in the information dimension), the post itself (the target in reality) changes to suit the edit you made. So how does magic reach an Eidos? Magic doesn't travel through the physical plane, but instead acts directly on the Eidos itself in the information dimension. As long as the coordinates of an information body are known, a magician can influence it with magic. Hence, magic isn't confined by physical distance. Think of something like a walkie-talkie - even though the broadcaster isn't directly next to the recipient, they can still be heard, as the emitted radio signal is referencing a specific point in the distance (the other radio). While magic is intrinsically different (radio waves travel through the physical plane, and so have range), some of the concepts are similar. Additionally, as magic affects the Eidos of a target directly, physical barriers are not barriers to magic - if the coordinates of an information body are known to the magician, he can target them through the information dimension. Having said this, it’s a rare case that magic can be cast through a physical barrier - while magic is cast through the information dimension, a target still has to be identified in the physical plane. As such, magicians are still restricted by the limits of the human body, and so are bound in distance, and nearly always by need of visual confirmation. While all magicians by definition can access the information dimension to cast their spells, this doesn't mean they can use it as a medium for finding targets. Only Tatsuya can actually "see" in the information dimension and therefore bypass physical barriers at will. So, so far we know that each real life entity has a corresponding information body in the information dimension, and that information body can be affected by magic to alter its state in reality. But, just how does that happen? In the information dimension, things aren't constructed from base elements like in the real world. Instead, each Eidos is made from a perfectly organised series of Psions, which compile to exactly represent its corresponding physical entity, albeit in information form. Psions (or thought particles) are the particle manifestation of intention and thought, and are an information element that records cognizance. As they exist in the information dimension, they are substance-less, and are more of a psychic phenomenon, but they are fundamental to altering Eidos - as well as being the building blocks of each information body, Psions are also the tool that alters them. Each person has a ‘Psion count’, which is, in simple terms, the number of Psions they have at their disposal. Having said that, while everyone has a Psion count, only magicians can manipulate their Psions to cast magic. Each person’s Psion count is different, and this directly affects their ability to cast magic. While most spells only require a small number of Psions to cast, continual casting will begin to drain the caster’s Psions, and eventually lead to exhaustion. At the present day when the show is set, advances in CAD (see below) technology have improved Psion efficiency, meaning it is no longer as large of a limiting factor in magical capability, but exhaustion from overuse of magic is still a threat to the modern day magician. Naturally, skilled magicians are more adept at Psion manipulation, and get more out of their Psions than an unskilled magic practitioner. Additionally, certain spells physically cannot be cast without a large enough Psion count at the magician’s disposal. To cast magic, a magician will manipulate his or her Psions in such a way that causes them to overwrite a particular Eidos in the information dimension. General CADs: General CADs are the tool for magicians that cover all bases. Being able to store up to 99 activation sequences, a magician equipped with a general CAD will likely always be able to adapt to the situation, with the potential for many options at their fingertips. Due to the ability to cast a larger variety and number of spells, a general-type CAD will place a larger burden on the user, who will have to make more manual adjustments for each spell to be effective. Specialised CADs: Specialised CADs are inferior to general CADs in that they can only store up to 9 activation sequences, but they far exceed the latter when it comes to spellcasting. With less capacity for storing magic activation sequences, specialised CADs instead have subsystems that reduce the strain of casting on the magician, enabling them to invoke magic at much faster rate. Due to the narrowed nature of specialised CADs, they are often specialised according to specific kinds of magic as well. For instance, combat magics will often have specialised CADs in the shape of handguns , which incorporate auxiliary aiming systems into the ‘barrel’ portion of the CAD. This allows coordinate data to be inputted during magic invocation, making casting easier for the magician, as they have fewer variables to define manually. Weaponised Integrated CADs: Weaponised Integrated CADs take the form of weapons like a swords or clubs, and are even more specialised than a specialised CAD, being able to hold only one activation sequence. This means they're limited to only a single spell. Due to the activation sequence limit, magic written into the CAD usually involves improving the power of the weapon itself, with blades usually receiving improved cutting power, shields with empowered defensive abilities, and so on. In all varieties, CADs can come in all shapes and sizes to best suit the magician using it. Another thing that remains the same between both varieties is how the CAD works. Absorbing Psions from the user, the CADs ‘Psion Information Aide’ (software) transmits them into the chosen activation sequence. The activation sequence is then absorbed from the CAD into the magician's magic calculation area, where it is translated into a magic sequence. The magician taps into their Psion count, and inputs Psions into the CAD. Think of this as refilling a mechanical pencil. The Psions, like the 'lead', are what will fuel the changes that the user wishes to make. The CADs hardware converts the inputted Psion signals into electric signals, and uses them to produce a collection of ‘electronic magic’—the activation sequence. Think of this as using a cookie cutter on dough - the final product isn't produced yet, but it has taken form. All that's required is for the user to make some final steps, whether that's baking cookies, or making a magic sequence. The activation sequence sent back into the caster as electrical signals along the nervous system into the magic calculation area of the magician’s brain. The magician infuses Psion particles inherent in their body into the activation sequence that’s just been output from the CAD. Now in the user’s brain, the activation sequence is expanded, and any necessary parameters not already defined by the CAD are input. The magic sequence is now complete. Once all the correct variables are set by the magician, the conjured information can be used (cast) to overwrite the target Eidos in the information dimension. Spell complete! As the activation sequence is absorbed from the CAD into the magician's magic calculation area, there is a direct link between the users CAD and brain. As such, it’s important that the CAD in use is correctly adjusted to suit the magician in question. While a well tuned CAD leads to faster invocation times and higher casting efficiency, a poorly configured one can have harsh repercussions as severe as mental scarring and hallucinations. Modern magic is simply the overwriting of an information body through the use of a magic sequence. Does Shiba Tatsuya have two Magic Calculation Areas?